Tongkonan is the traditional ancestral house, or rumah adat of the Torajan people, in Sulawesi, Indonesia. Tongkonan have a distinguishing boat-shaped and oversized saddleback roof. 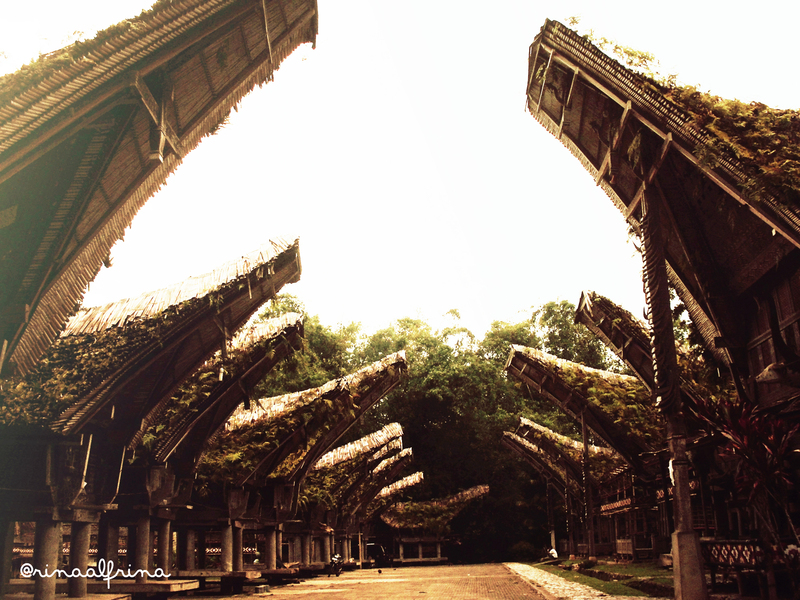 Like most of Indonesia’s Austronesian-based traditional architecture tongkonan are built on piles. The construction of tongkonan is laborious work and it is usually built with the help of all family members. In the original Toraja society, only nobles had the right to build tongkonan. Commoners live in smaller and less decorated homes called banua.